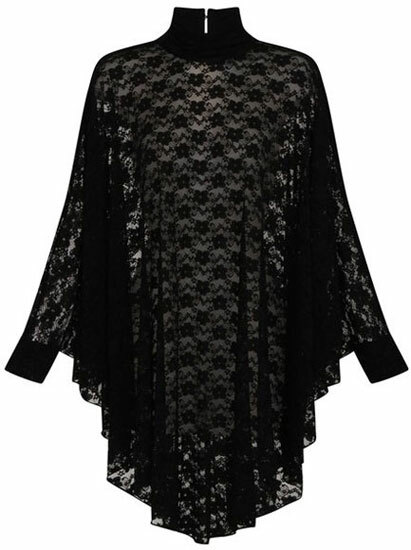 This beautiful draped circle dress is made from a stunning black lace making it the ultimate piece of Gothic clothing. The Lydia dress has a high neckline and fastens with hook and eye clasps on the back of the neck. 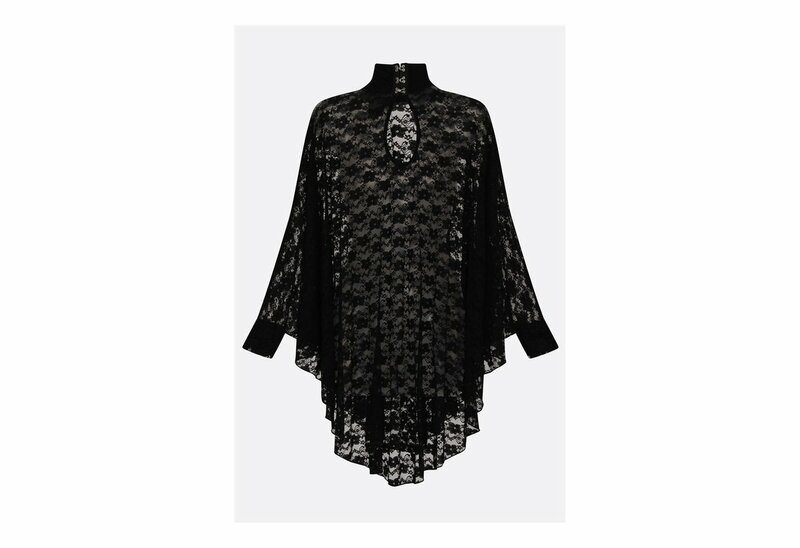 Wear over a simple black slip for a stunning piece of day or night wear.